Thanks so much to everyone who came to the show. It was a great turnout. One of our best ever! I think the recent snowfall got people in the Holiday Spirit! 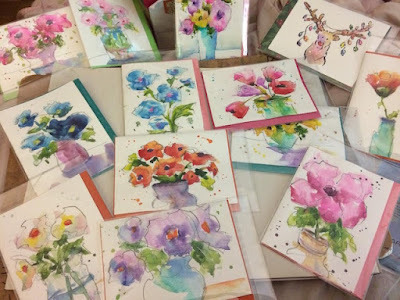 Lots of my hand-painted cards have found a new home. 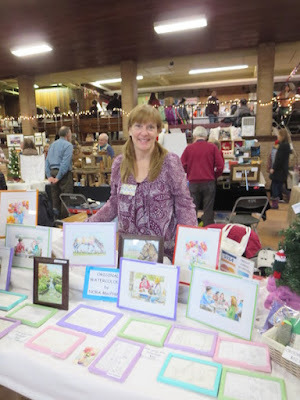 Many customers plan to frame them instead of give them away. 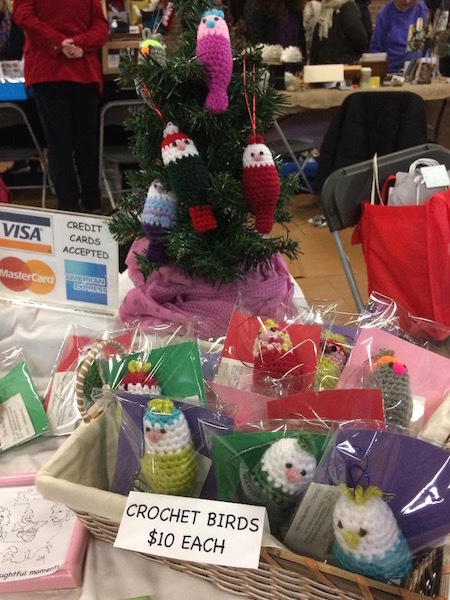 My crochet birds were a new item this year. I just wanted to have a fun little surprise on my table, and returning customers certainly were pleased!